My first two weeks in Colombia were not very culturally rich, most days consisted of chilling in hammocks, by pools or beaches and most nights were spent checking out the night-life. In fact I think the most cultural thing I had done until Medellin was to go on a party bus which played typical Colombian music and attracted a South American crowd. So far Colombia had been a pleasant surprise because in the Western world we are only fed negative stories and are painted a picture of a very unstable, unsafe country. 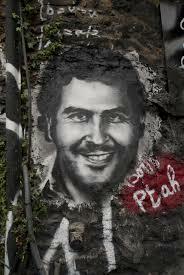 We tend to associate Colombia with cocaine and the infamous King Of Cocaine, Pablo Escobar. We are generally told one side of his story, the one where he is portrayed as a Robin Hood character, the best way to hear the other side of the story was to go to his home-town of Medellin where he took his first steps on his criminal career ladder as an alleged grave-stone robber. Here he climbed the ladder to a thief, kidnapper, drug cartel and mass murderer. My first night at the hostel, I asked some Colombians what they thought of Escobar, whether he did help his people or whether they felt he had ruined their country, one wasn’t bothered and the other completely flipped out saying not to speak about him around her as she didn’t want to hear his name. This strong reaction was the more common one, most people hated him and hated that tourists gave him such importance. They felt he had ruined them and caused years of suppression and war and hated that Colombia was associated with him. 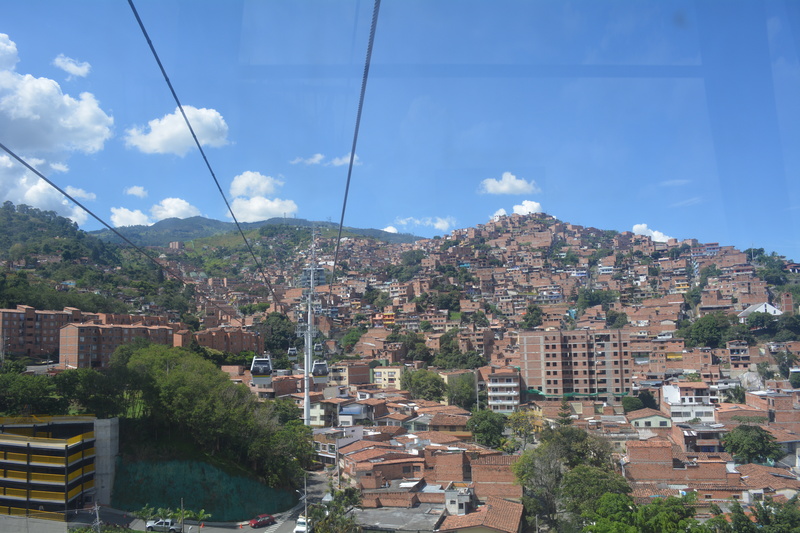 I went on a walking tour of Medellin which I would highly recommend, you can book it HERE, this further solidified that this view was the more popular one. Our tour-guide began his introduction by saying he knew a number of us would want to ask about Pablo Escobar but to please refer to him as “the famous criminal” as it would cause problems if passers-by heard us saying his name. He explained that it was obvious that we were tourists and if he was heard telling a bunch of gringos about Escobar, they would assume he was glorifying his name and associating Colombia with him thereby giving him importance he didn’t deserve as the country had a lot more to offer. We went to the Parque de las luces (Park of Lights). As we stood there, our guide explained that just 15 years ago that square was like hell on earth. He said his mother would be afraid of sending him to school as he had to walk through it and bombs would blast or people would be kidnapped or mugged. He said that Medellin was the worst city in the world, that people lived in terror and were afraid to leave their homes. As his story progressed to the present day, he beamed with pride as he described the transformation that had taken place. How the lights in this square represented hope for the people of Medellin and how a building that was previously a refuge for drug addicts had been transformed into a library as Medellin wanted to forget its tumultuous past and promote hope and education to inspire the next generation to be better. 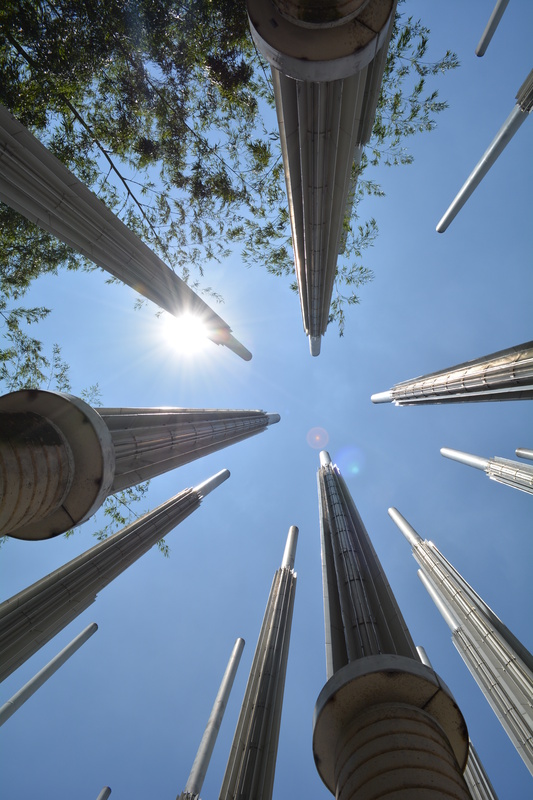 Forbes Magazine recently voted Medellin as the most innovative city in the whole world! We travelled by train there, this was incredible as it was the only city to have a train network in Colombia and it was a good one. 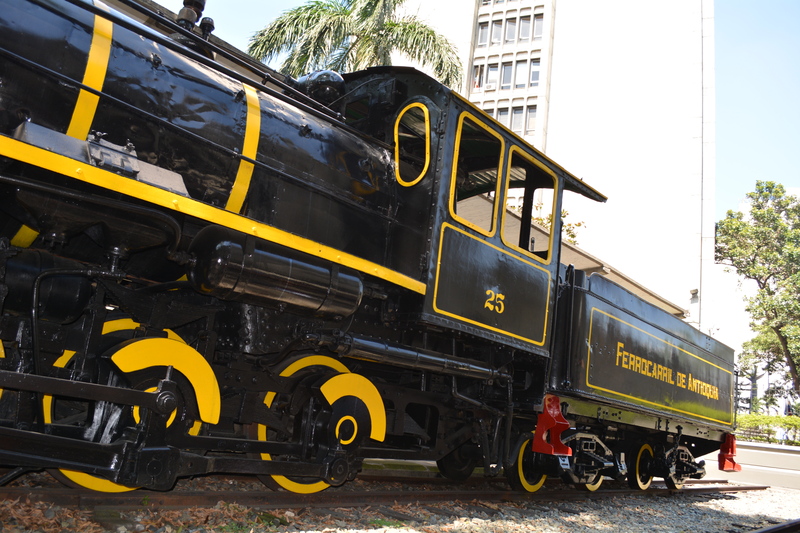 Trains were regular and simple to get and it symbolised modernisation and moving forward. I was fascinated that they had escalators in the slums, they felt people already living a hard life shouldn’t have to struggle, that after they had finished a days work, they shouldn’t have to climb up hills for hours to get to their houses and wanted to make their lives easier so they installed escalators. The poor areas were the first to be invested in as these were where people really needed to feel cared for and to realise that they mattered too. They then installed cable cars which went through the slums allowing people to get to their houses safely without having to walk for hours through dangerous areas at night. 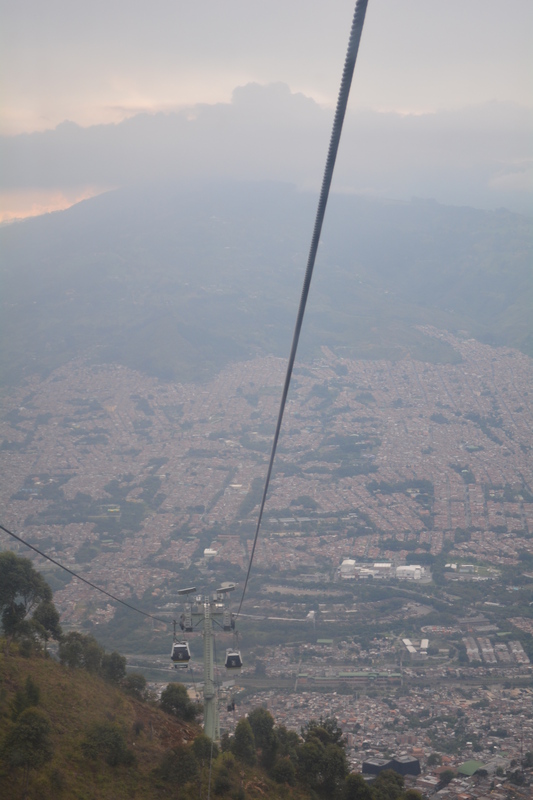 I went on these cable cars and found it so amazing that the poorest region had the slickest transport system! Our guide had told us that you will never find people eating, doing graffiti or scratching windows on public transport as it was something that they were incredibly proud of. It put London to shame as I looked around and realised despite being almost 20 years old it was immaculate. The views were beautiful although we were riding over slums, the backdrop was green mountains and the cityscape. One of the routes takes you over the mountains to a beautiful national park, Parque Arvi. We did a quick walking tour and our guide showed us various species of plants as we walked through the forest. 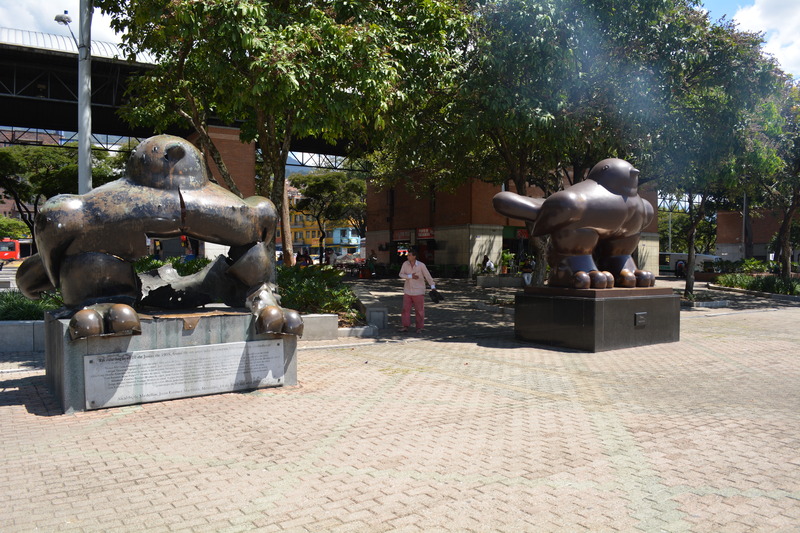 Botero donated many sculptures to the city to add value and make Medellin even more beautiful. I was touched by the story of how one of his sculptures of a bird was blown up at a concert, killing and injuring many. The council wanted to remove the sculpture but he insisted its remains were kept on display as a reminder of lives lost and Colombia’s terrible past. He made a new sculpture of a bird standing proud with a puffed up chest which he placed next to it, this symbolised the present, a transformation that Colombians can be proud of. Colombians are some of the friendliest people I have ever met, they want to show you around and tell you all the best places to see as tourism is something new for them. They finally have a country that isn’t hostile and they are so proud to be able to share it and will take time out of their day to ensure that you have a good experience without wanting anything in return which is something that made Colombia a rare and beautiful experience for me.